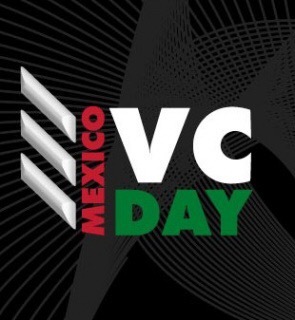 I share this invitation from AMEXCAP to all entrepreneurs interested in an opportunity to pitch their companies to Venture Capital Funds from Mexico and Silicon Valley, which will take place during the lunch session of the Mexico VC Day 2016 in San Francisco in October 20th. Seed round: from USD$100,000 to USD$500,000. Round A: from USD$500,001 to USD$3,000,000. Submission deadline: September 23rd, 2016 at 8:00 pm (Mexico City local time). Winners will be announced on October 5th, 2016. A nice incentive is that winners will be exempt from the USD$150 “Entrepreneur fee” and all contestants will earn a 10% discount off the “Entrepreneur fee” for their participation. All projects will be evaluated by an independent committee comprised by AMEXCAP’s VC Funds and AMEXCAP’s Executive team. This entry was posted in Actualidad, Ecosistema, English, Mexico, Startups, Venture capital and tagged AMEXCAP, Mexico VC day, pitching contest. Bookmark the permalink.